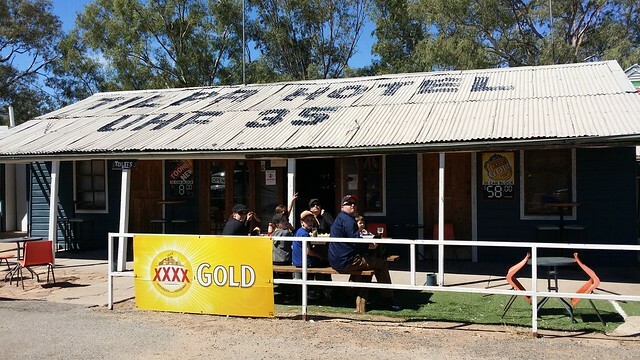 We set out from Trilby station to find another outback pub, and the Tilpa Pub is as iconic as they come in this region. For many years people have been coming here and writing their names on the walls in return for a small donation to the RFDS. 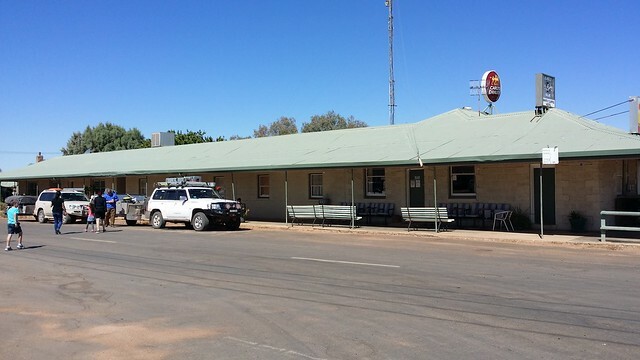 Tilpa used to be a busy port on the Darling, when there was enough water in the river. Regularly paddle steamers would get stuck along their journey and have to wait until the next flood to continue upstream. 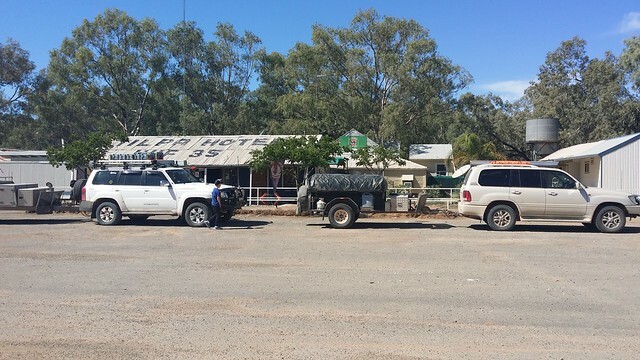 A quick lunch was had, as well as the obligatory photo before we continued our journey through Wilcannia for some fuel, and on to White Cliffs for an overnight stop in the underground motel. 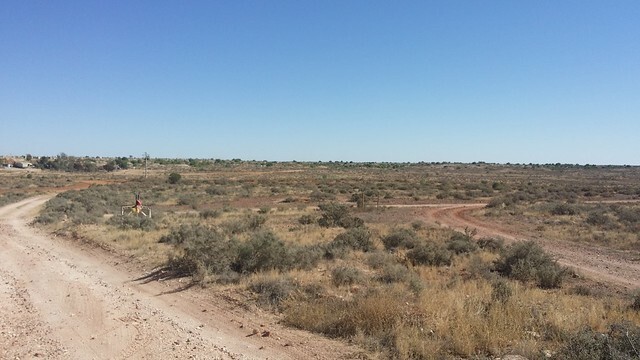 This is an opal mining town, and most of the town itself is underground. You can drive through town and not know that most of the residences are built into the hills and underground. Chilling with my boy underground! We enjoyed someone else cooking dinner and watched the sun set over the mines, before settling down into the quietness of the motel. 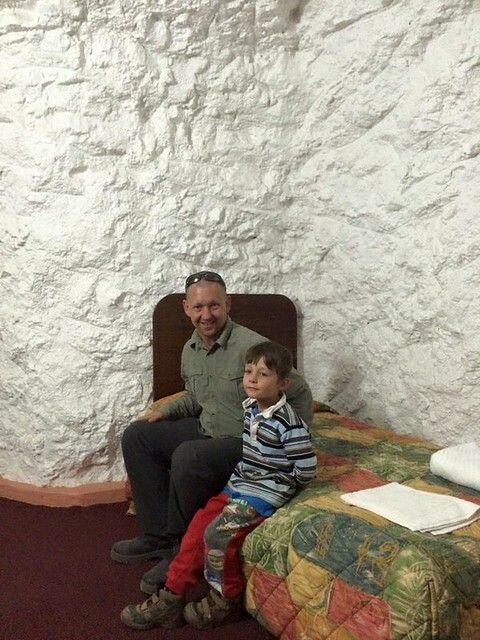 The following morning we did a few tours, including one through a very large and amazing underground home. 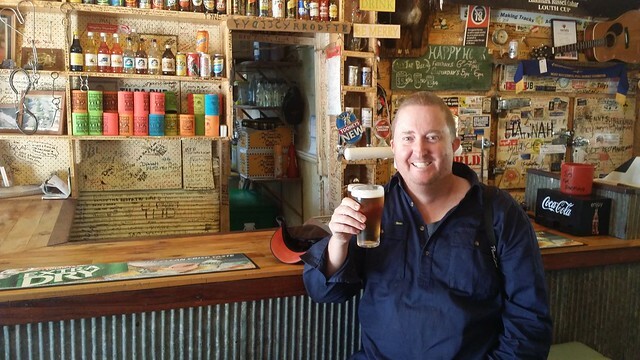 We got some lunch at the general store, and topped up other essential supplies at the pub, before getting back on the road towards Mutawinji NP.